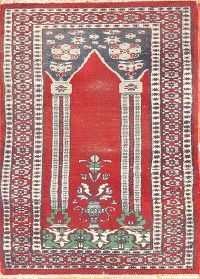 Bokhara rugs are a type of Oriental rug with a unique design. What makes this design distinct — whether you’re talking about Pakistan Bokhara rugs or Bokhara rugs made in Iran — is that each one typically features side-by-side rows of guls (a medallion design) surrounded by decorative geometric patterns. Because of this, Bokhara Oriental rugs are easy to spot and widely beloved throughout the world. Rug Source stocks a large variety of Bokhara rugs for sale, available in various color schemes and sizes. Find everything from small, 1-foot-by-2-foot designs to large, 10-foot-by-14-foot Bokhara area rugs. Known for their high quality, beauty and durability, these pieces make exquisite focal points anywhere they’re placed. When you’re looking for a quality Bokhara rug, there are several factors to consider. You want to choose a rug you’ll love for many years to come. To help you through the buying process, we’ve created this brief guide for you to reference while shopping. If you have any questions not covered below, please contact us anytime. Our experts are happy to answer your questions and help you find the kind of Bokhara rugs you’ll love for a lifetime. The term Bokhara comes from a location in Central Asia where the Tekke and Salor tribes lived. It’s come to be used to describe what are considered Tekke-faced rugs, which may incorporate ideas from both tribes. That’s because, when the Tekke conquered the Salor tribe, many historians believe they assimilated with the Salors’ ideas. Today, Bokhara rugs are made in many parts of the world, including Pakistan, Iran, India, Turkey, Afghanistan and Central Asia. 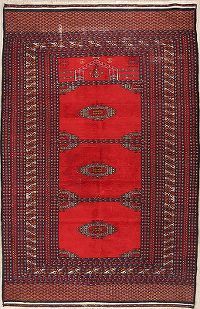 A Bokhara rug is typically rectangular in shape, although there are some that are square. You will see varieties in many color schemes, and the specific style and feel will depend on where the rug was made. 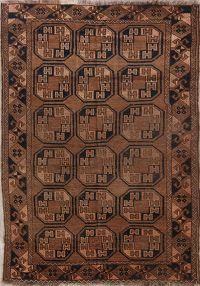 Pakistani Bokharas, which tend to use a predominantly cotton base, are some of the most popular handmade rugs anywhere. They feature a soft, thick pile, as well as a luxurious feel. 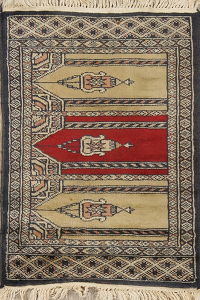 Central Asian Bokharas usually are mostly made of wool, and they feature a tighter, denser pile. 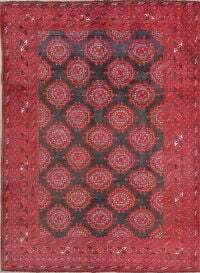 There are also Afghani Bokharas made with wool, cotton or silk bases, usually in reddish colors. When it comes to antique Bokhara rugs, there’s no better place than Rug Source. As the largest online retailer of area rugs, we promise the lowest online prices and even offer a 30-day money-back guarantee. Our rugs are priced 60 to 70 percent below retail and 30 to 40 percent lower than our direct competitors. Browse our online catalog or visit our showroom in Charlotte to find something that’s perfect for you, whatever your aesthetics or budget.